Tony Hawk has to be the most famous skater of all time. Hawk’s heyday was in the 90s, after the scene was up and running for about 15 years. Not just famous for the über-popular video game series he has named after him, Hawk also started his own company with an ex-Powell Peralta colleague, Per Welinder, and in 1992, Birdhouse Skateboards was born.Tony’s popularity and both of their experience from years of skateboarding are definitely the two biggest things that kept the brand alive. In addition to Birdhouse decks and complete skateboards and skate bearings, Birdhouse also has wheels and other skate hardware in their product range. Find the perfect skate shoes to go with your Birdhouse gear in our online shop! Birdhouse’s graphics are dominated by skeletons and birds. They use their imagination a little more for pro decks, but animals are still featured prominently in most designs. Tony Hawk always manages to pull some talented, big names in skateboarding onto his team. Videos like Feasters, Untitled, Ravers, The End and The Beginning are all worth checking out. C’mon, it’s Tony Hawk, you can trust his decisions! 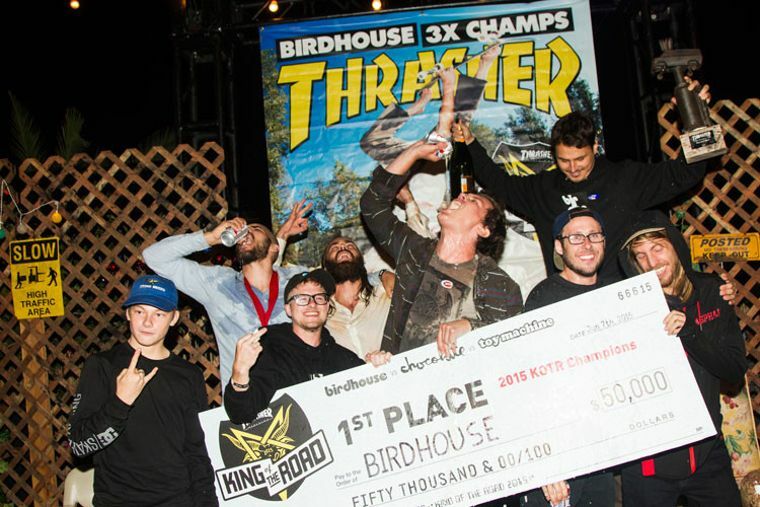 In addition to founder, owner and skate legend Tony Hawk the current Birdhouse lineup includes Aaron Jaws Homoki, Ben Raybourn, David Loy and Clint Walker along with amateurs Clive Dixon, Elliott Sloan, Lizzie Armanto and Shawn Hale.